Avast Free Antivirus is an efficient, lightweight, and comprehensive anti-antivirus and anti-malware solution that will protect your PC from hackers and thieves and gives you all-round safety. It's packed with one of the largest threat-detection network, real-time protection from unkown files, machine-learning protection, easy password management and home network security that won’t slow down your computer. It offers proprietary, cutting-edge CyberCapture technology that finds and stops unknown files before they get to you, It will automatically send suspicious files for analysis in the cloud, and push a cure to all Avast users if it's a threat. It is offering a Wi-Fi Inspector as well as, which can identify even more weak points in your router. It also features SafeZone, the world’s most secure browser, and an enhanced Game Mode which turns off background checks and updates to maximize your gaming experience. 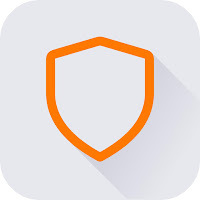 Avast Free Antivirus protects more than 230 million people worldwide what makes it one of the best free antiviruses on the market today. Note: For advanced antivirus protection by Avast use: Avast Pro Antivirus. Note: to uninstall all Avast prodcuts from your PC use: AvastClear Uninstall Utility. Disclaimer: Direct downloads for the lastest version of Avast Free Antivirus 17.6.3625.0 are provided by the official software's author, we can't guarantee safety, availability or download speed. Moreover, we don't and we won't provide any pirated/illegal versions or tools. We recommend you to avoid it as these methods can harm your device. If you like the software, buy it to support the developers. (We provide software discounts for many worldwide brands).